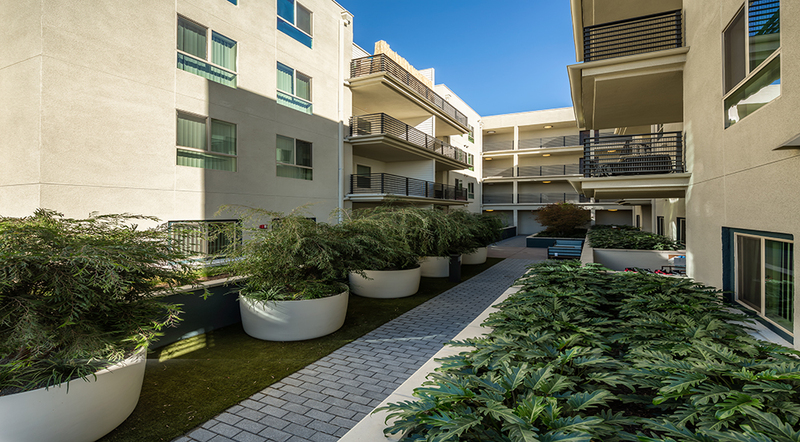 Meridian is a centerpiece of the redevelopment of the Vermont Avenue corridor in Koreatown in the Wilshire Western Specific Plan Area. The 1.0-ac. redevelopment site replaces underutilized retail with 100 affordable family-apartments (100 dua) and 4,000 square feet of street-front retail with a public paseo. 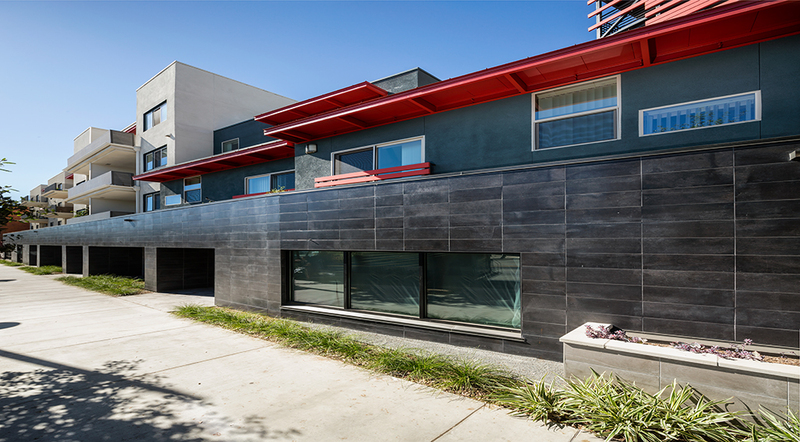 The exterior is a dashing contemporary design by award-winning Killefer Flammang Architects. The building is LEED for Homes Platinum certified. 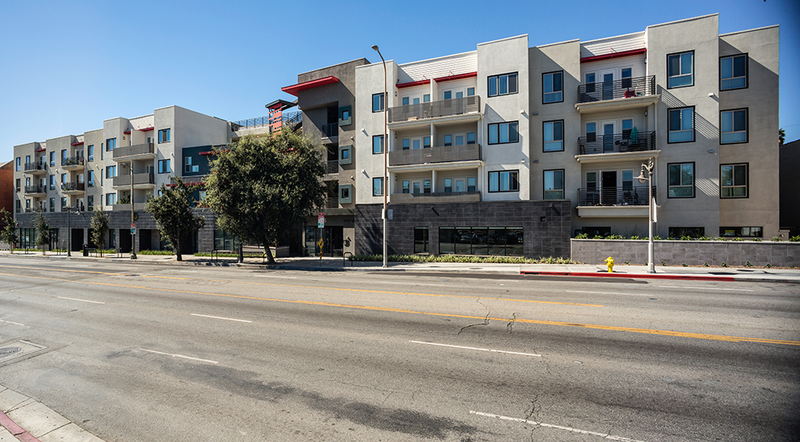 The site is located one block away from the Vermont/Beverly Metro Red Line subway station, and neighbors community amenities such as Shatto Recreation Center, Virgil Elementary School, a health clinic, pharmacy and market. Construction is four levels of Type V with 112 spaces of sub-terranean parking. Solar panels are installed on the roof. 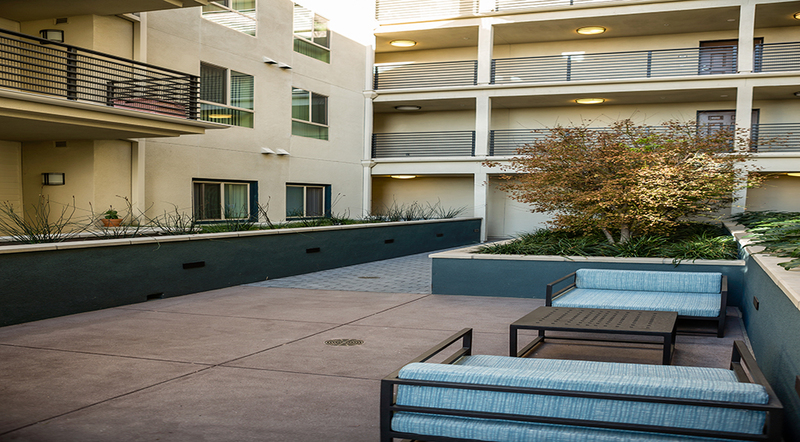 Amenities include a large community room with a computer lab, a barbecue area, children’s playground, bicycle storage and electric-vehicle charging stations. 100% affordable: 10 units – 30% AMI, 10 units – 35% AMI, 10 units – 40% AMI, 10 units – 45% AMI, 10 units – 50% AMI, 49 units – 60% AMI. Contractor: AMCAL General Contractors Inc.